Fashion Research Institute is creating a very special region for our artist in residence, Callipygian Christensen, in our development environment based on the OpenSim platform. Shengri La Gallery will showcase Ms. Christensen’s artwork shot in our Shengri La Spirit region as well as related work shot in Gallery itself. When the region has been fully developed with premium avatar apparel available on site to our visitors, and Ms. Christensen’s work has been installed, we will be opening Gallery to visitors. 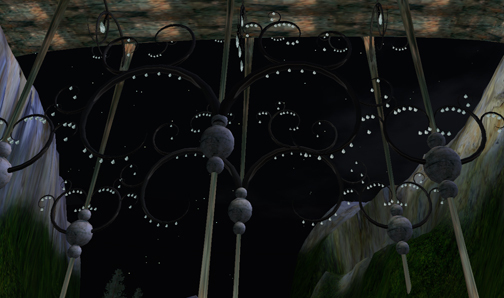 This OpenSim exclusive art exhibit will only open on Shengri La Gallery on the OpenSim platform. Are you ready? Details to follow, watch this space. 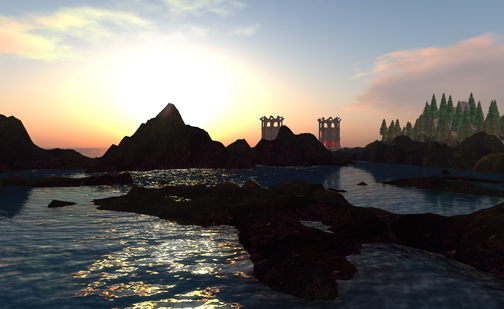 Just a few images of the newest project…some castles, a bridge and nature scenes. I’ve been learning to script things, thanks to Script Wizard Dale’s patience. 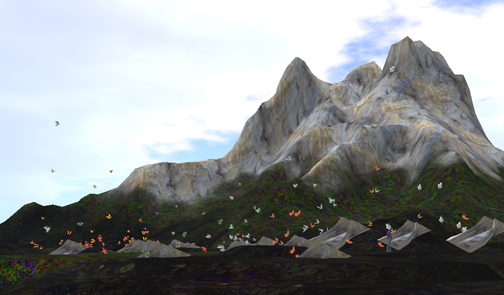 I even managed to make a particle garden work, and petals float on the wind from my weeping cherry trees! 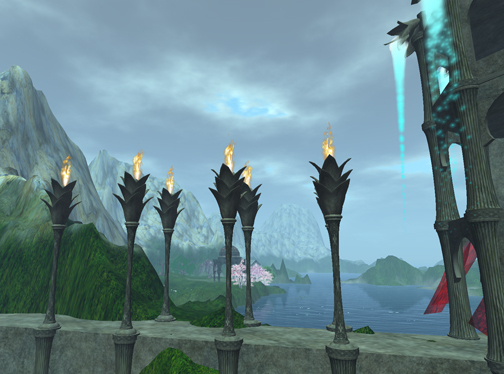 Last week, Black Dress Technology’s sys admin, Frank Clark, brought up the OpenSim Shengri La grid inside the Fashion Research Technology firewall. With 9 regions, it provides us a degree of freedom for testing, content development, prototyping, and of course, our actual work in developing enterprise virtual worlds applications. 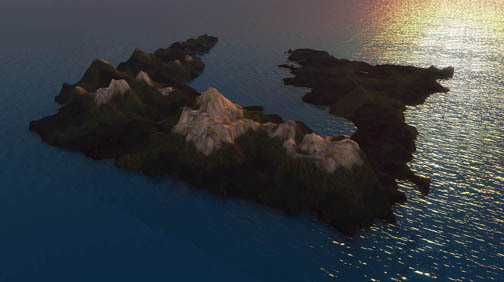 The entire operation went smoothly, from instantiating the first region, to bringing up the additional 8 regions, to adding in the RAW files and terrain files. 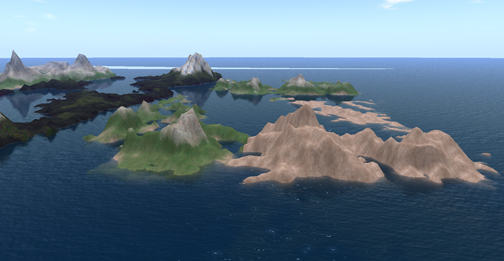 I compare this to our very first OpenSim region, which we instantiated last October. I think it’s interesting to look back and see how far this platform has come since then. That very first, raw lump of terrain that emerged from the endless sea was largely inert. Scripting functions were a future dream; terrain editing was difficult at best; building required lots of math and almost no finesse. Textures might or might not load and the platform itself was highly unstable for content creators. 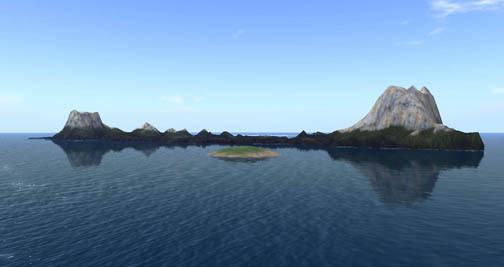 Things content creators take as a matter of course in Second Life (TM) were just missing, having not been implemented into the code yet – things like Ctl-Z, all the clever witty scripts, attachments, and of course, avatar persistence. 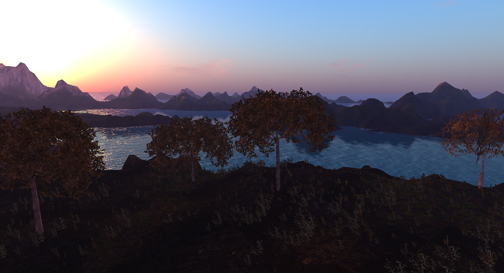 The Shengri La grid, in comparison to that first raw OpenSim region last year, is stable – so stable that multiple users were able to work in the regions while building relatively complicated, high prim, scripted builds. We’re aleady using the regions to instantiate some of our competitive business intelligence, to create demos and to begin developing virtual world-based fashion courses. 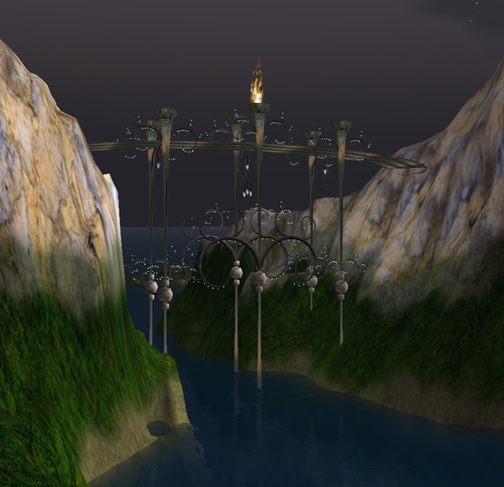 Working on the OpenSim platform is still somewhat challenging – there are things the platform doesn’t yet support like vehicle scripts and persistent attachments – but in some respects the platform itself compares more than favourably with Second Life. Stability, lack of lag, security for starters – our region is so stable that we’ve (well, me as a rule, since I like to push the envelope) only managed to mangle the server once, and that was after restoring content from one sim to another one, where the same asset was trying to appear on two sims concurrently. The lack of lag is a delight – even with multiple users in the region all actively doing things in the regions, the regions perform well. Security – for now at least, Shengri La Grid is a walled garden, with access limited to FRI and BDT employees, and soon to our IBM development team members. We worked extensively on the grids running r5806, and overall the experience was great. The asset server still struggles with massive bulk uploads of textures, which resulted in a client crash for the user who was uploading textures. The server stayed up, and continued to function well for the other users working in the regions. 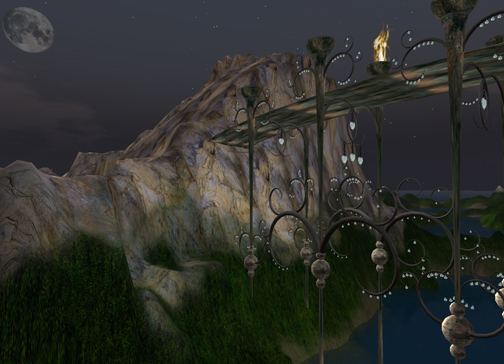 It is with great pleasure, then, that I offer these views into our newest OpenSim project, the Shengri La Grid: Shengri La Bliss, Shengri La Dream, Shengri La Muse, Shengri La Belle, Shengri La Star, Shengri La Diva, Shengri La Passion, Shengri La Liberty and of course, Shengri La Spirit.